Today was cloudy, cold, and windy with intermittent rain. To top it off, the forecast is calling for a winter storm in the next couple of days. My solution to this depressing weather? Soup, of course! Although technically a soup, I don’t really think of this recipe as a soup at all because it is so thick it can almost be eaten with a fork. Several years ago I had a neighbor who made a very similar chicken and noodles recipe and served it over a bowl of mashed potatoes. Sounds pretty wonderful to me, but I am already pushing the weight watcher limits here with these chewy egg noodles. The recipe starts with the same vegetable saute I talked about here. Add some garlic, chicken broth and diced chicken. 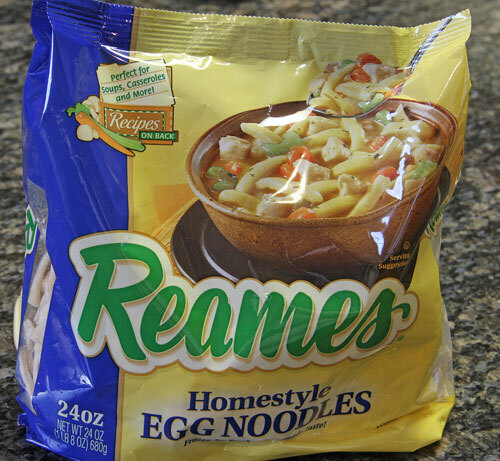 Once the broth comes to a boil, add a bag of these wonderful egg noodles. When my mom made Chicken and Noodles she always made her egg noodles from scratch. I seriously can not tell the difference between these and the noodles my mom use to make. They are sooooo good. After about 20 minutes of simmering, the noodles will be nice and tender and ready to heap into a big bowl. While I was waiting, I whipped up a batch of Jenny Steffens Hobick’s Cheddar Jalepeno Scones, a perfect complement to the chicken and noodles. I first made these scones when I attended a workshop with Jenny Steffens Hobick and I have made them several times since then. Here are the recipes. 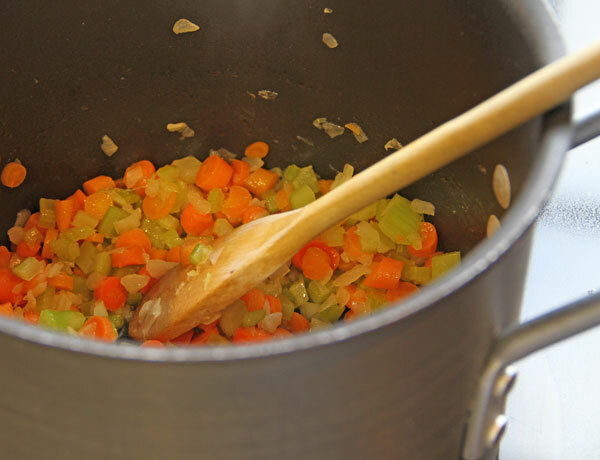 Heat the oil in a large pot and saute the carrots, celery and onions until soft. Add the minced garlic and chicken broth. Bring to a boil. Add the chicken and egg noodles and simmer for about 20 minutes until the noodles are tender. In a mixer, combine the flour, baking powder, salt, cheddar cheese and jalapenos using the paddle attachment. Dice the cold butter and add to the dry ingredients, mixing on low until the butter is the size of peas. In a separate bowl mix the cream and eggs. Add slowly to the ingredients with the mixer on low. Blend only until moistened then turn off the mixer. Turn the dough out onto a floured surface and shape into a disk. Cut into 8 wedges and place each piece onto a parchment covered baking sheet. Bake at 400 degrees for 15-17 minutes. Thanks for stopping by Jessamine, the scones taste great….you should try them! This looks fabulous and surprisingly enough to me, I have everything I need to make both! On the menu this week! Thank you! Oh wow!! 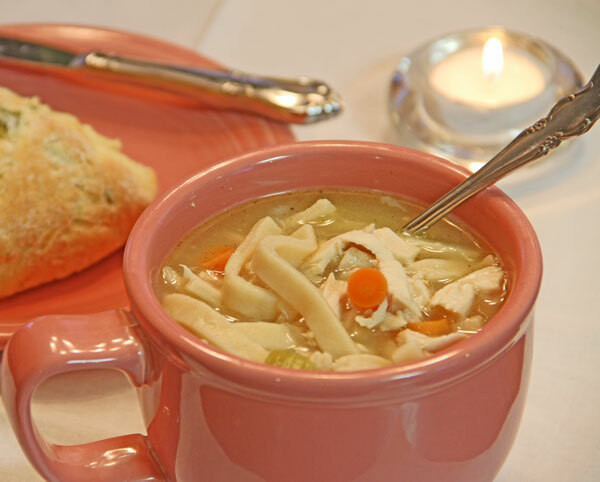 I’ve never made homemade Chicken and Noodle soup, but I am going to try this one! Thank you for sharing the noodle secret. I’ll have to look for those in my store. The scones look delish as well. Thank you so much for linking up to our party! 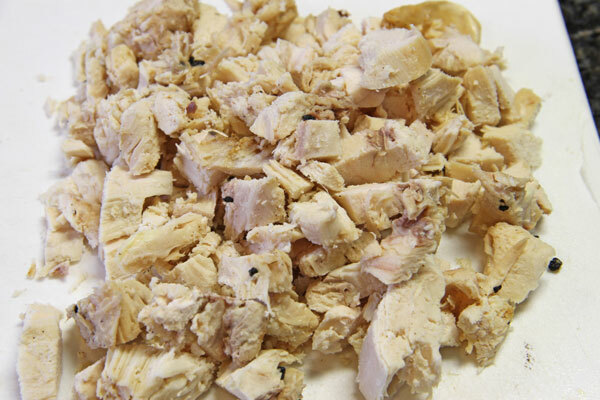 I love chicken and noodle soup, and I can’t wait to try your version. What I’m really excited about are the scones. Cheese, cream, and jalapeños! That’s what this Texas gal loves!